SAN DIEGO, Calif. /California Newswire/ — Bank of Southern California, N.A. (OTC Pink: BCAL / OTCMKTS:BCAL) announced that Jim Paul has joined the Bank as Vice President, Business Banking at the Del Mar Corporate office. He will primarily focus on building new client relationships for the bank. Mr. Paul has over twenty-five years of sales and business development experience, building long-term, profitable relationships in new markets both individually and through team efforts. Most recently, Jim was the Vice President of Business Banking at BBVA Compass Bank in Dallas, Texas. “We are pleased to welcome Mr. Paul to San Diego and Bank of Southern California. He is a seasoned relationship banker with a strong track record of originating new business and developing profitable client relationships,” commented Tony DiVita, Executive Vice President and Chief Banking Officer. “As we continue to expand our bank’s business development division, we are excited that we are assembling a team of professionals with such diverse backgrounds, but with a shared focus of providing a high-level client experience,” concluded DiVita. 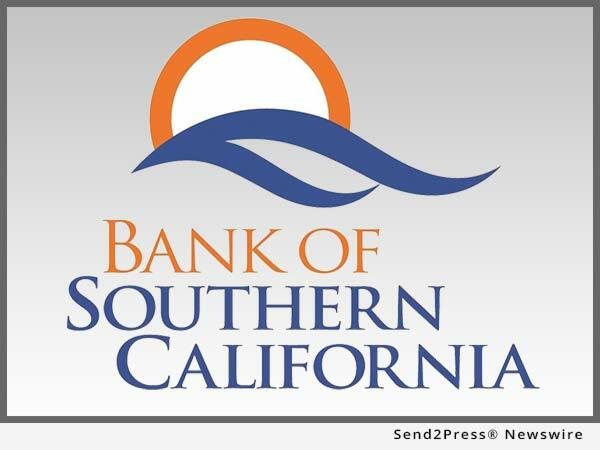 A growing community bank, established in 2001, Bank of Southern California, N.A., with headquarters in San Diego, Calif., is locally owned and managed, and offers a range of financial products to individuals, professional, and small-to-medium sized businesses. The Bank’s solution-driven, relationship-based approach to banking provides accessibility to decision makers and enhances value through strong partnerships with its clients. The Bank currently operates seven branches in San Diego and the Coachella Valley in Riverside County.